FCCB 221 - Take Me Out To The Ball Game! The red shape in the background is from Once Upon A Princess and I used Gyspy Font to create the Cheering sentiment, welding the letters together - I love my Gypsy! After attaching the words to the red diecut I ran both through my Cuttlebug, using the Swiss Dots embossing folder. I had some baseball patterned paper that I used as a background and coordinated the green ribbon across the bottom with the cheerleading outfit, adding a brad on the end. The inside sentiment is cut from the Gypsy Wandering cartridge, continuing the message inside the card. I found this super cute C.C. Designs Honey Cheerleader digi stamp and used Prismacolor Markers to colour her in. Some Perfect Pearls mixed with water and painted on the pom-poms added some shimmer along with a little bit of glittery gel pen on her outfit. We are supposed to have very hot weather this week, so we are off to the local amusement park to enjoy some outdoor time before it gets too hot! I hope you all enjoy your week! 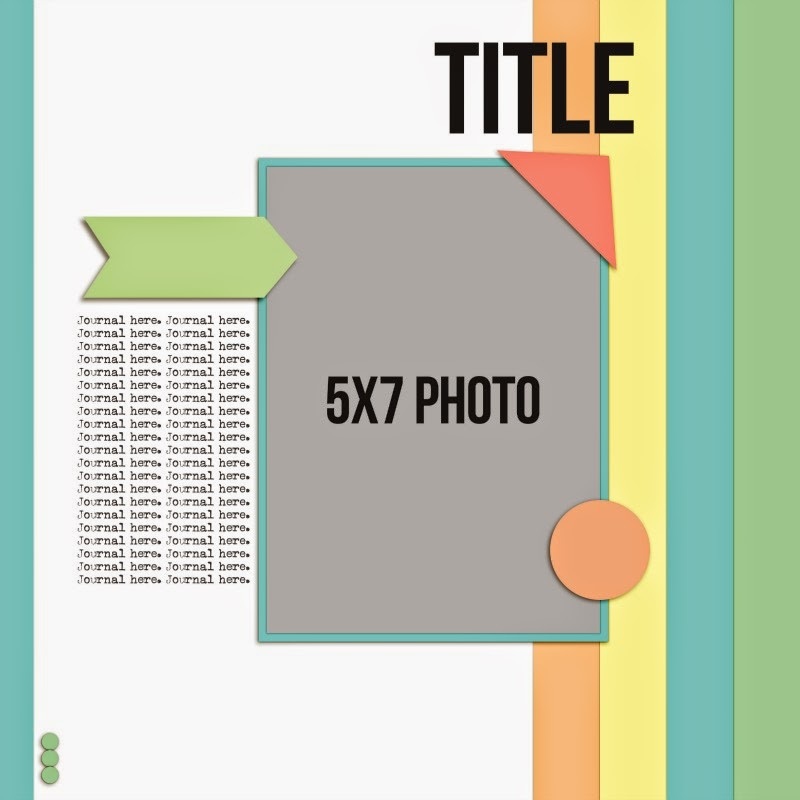 Be sure to check out all the wonderful projects our fabulous Design Team has come up with this week - and enter your own for a chance to win at the FCCB blog! I pulled out some new papers I picked up yesterday from Carta Bella - Summer Lovin' to put together this quick page based on the sketch from Scrapbooksteals.com for the Mid Week Mojo sketch. This paper is gorgeous! It is thick, beautiful cardstock, and the paper pack came with some really fun summery stickers. I also used some Pink Paisley Hometown paper embellishments along with some stickers, a wooden arrow, and Vintage Photo Distress Ink on my edges. I painted the edge of some white cardstock with some blue acrylic paint to match my layout. 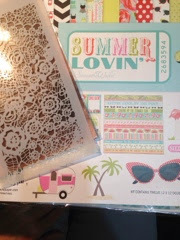 Yesterday I picked up a beautiful Tim Holtz Doily stencil, and I couldn't wait to play with it! I used Distress Inks in Mowed Lawn - I love this green :) and Picked Raspberry (if these colours don't make you feel like it's summer nothing will!)) to directly ink on top of my stencil. Then I spritzed the stencil with water and placed it face down on some watercolour paper to create the background. I used a border punch for the edge and cut some patterned paper into banners - inking around the edges. I really wanted this card to have a soft, summery feel to it, so I stamped on vellum and used white embossing powder. I turned the image over and coloured a few areas with Distress Markers on the backside, used some torn paper edged scissors and a little Distress Ink around the edge. This printed washer was the perfect addition to the top of the card, along with some pretty pink ribbon. 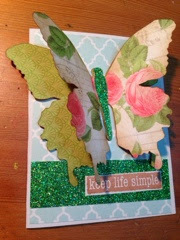 We diecut 2 butterflies from patterned paper - there is a green piece behind the pink floral piece, and glued just the body to the card so the wings are free. The sentiment is glued on top of some beautiful green sparkly paper. What a great sentiment - something I often need reminding about! 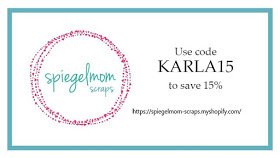 We live in a large city in Canada, but we have had most of our scrapbook stores close out! I am so glad we have the girls at Scrapendipity to sustain the industry here. They put on the most wonderful classes and Selena, the business owner, works so hard to make sure her customers are taken care of. We need to support more people like her! 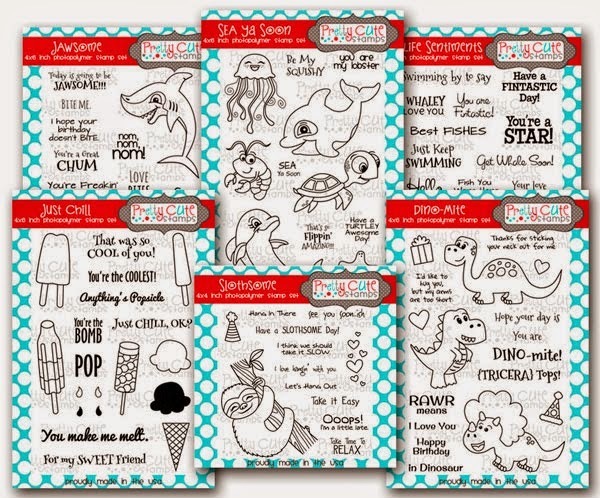 Pretty Cute Stamps Design Team Announcement! 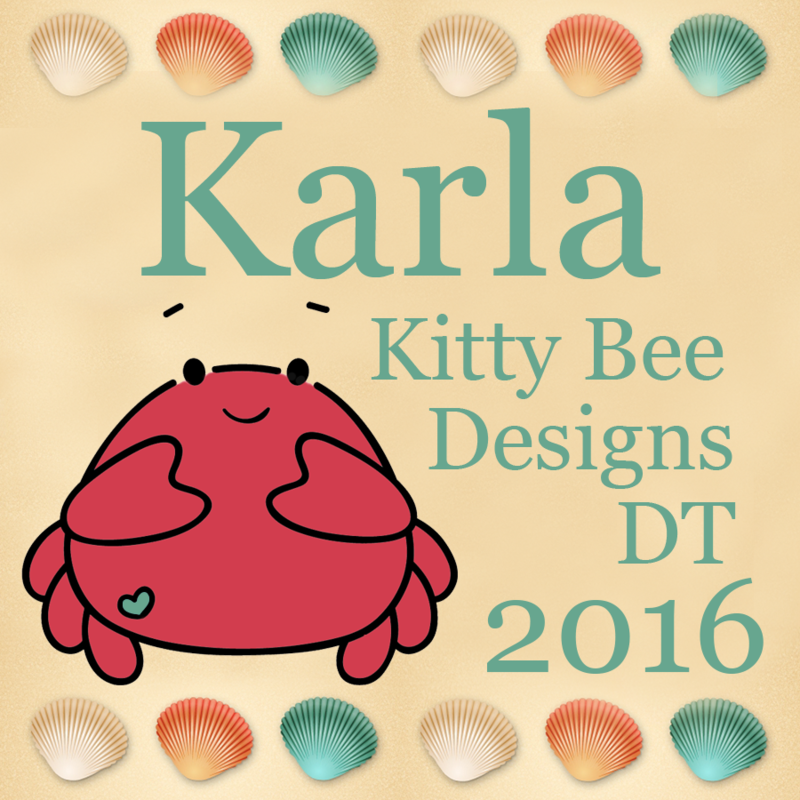 I am so super excited to join the Design Team of Lisa Norris from Pretty Cute Stamps! These stamps are so adorable! Starting in August the new Design Team gets to show off these amazing stamps. I hope you will check out Lisa's blog as well as her online store and browse through her collection of sweet images. Don't forget there will be new releases each month! Please check out all their lovely blogs - they are so talented and are so inspiring! I feel truly blessed to be able to take this opportunity to be able to share projects with you, doing what I love to do. Thank you for following! And be sure to check back in August - sign up for emails so you don't miss it- for our inspiration using Lisa's awesome stamps! Just wanted to share a card I made a while ago at a Make 'n Take. We heat embossed the wheat stamp with clear embossing powder and then sponged over top with brown ink and stamped the word stamp on the right side. 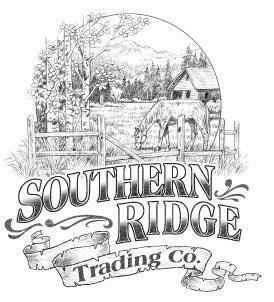 Any residual ink is easily wiped away from the embossed image! There is a small opening under the right side of the panel allowing a tag to slip in and out - great idea! The brown diecut butterfly silhouettes were added on top. This card reminds me of summer- running through fields at my cousin's farm when I was younger! This sentiment is one of my favs! We spent our weekend camping and had some beautiful weather, some beach time, campfires and bike riding! 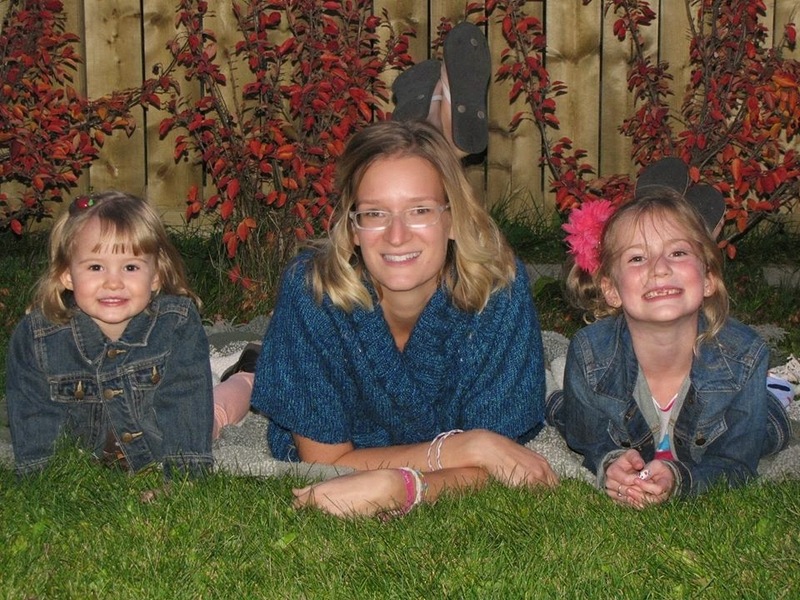 There are so many wonderful camping areas in Alberta! I hope you enjoy your Sunday! Isn't this one of the best things about camping?! 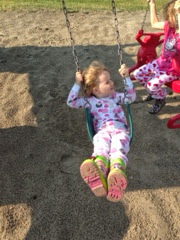 Wearing pj's and rainboots outside! Woo hoo! 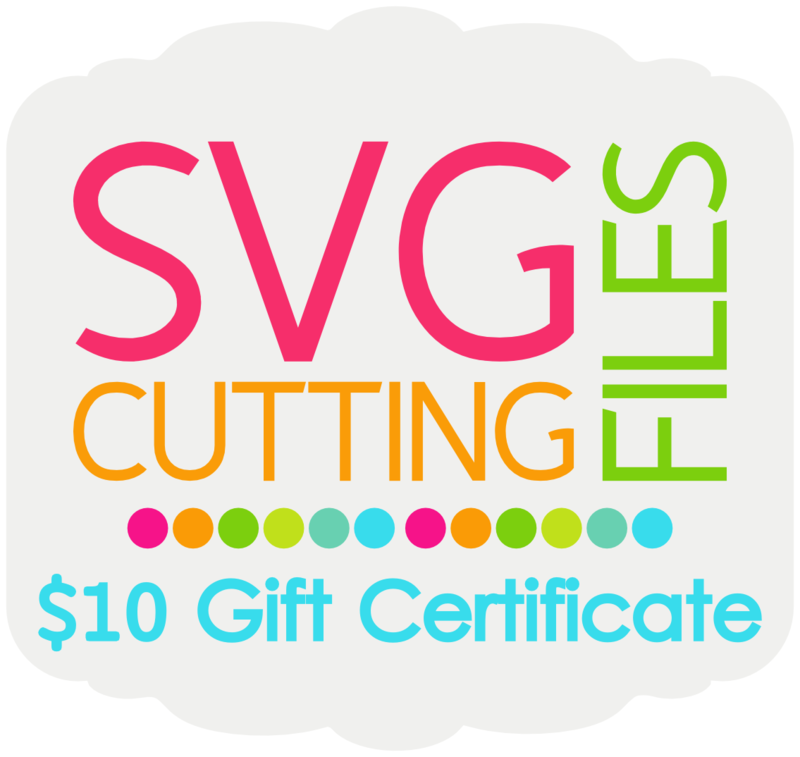 I'm so excited to be the Die Cuttin' Diva's Guest Designer this week! What an honour to contribute to such an inspiring blog with such an amazing, talented Design Team! The theme this week is Just Beachy - how fitting with the lovely weather we've been having here! I have had the Hometown Summer paper in my stash for so long, and it seemed like the perfect match for the background for this layout! I used the sketch from Stuck On U sketches, which you can see below, as inspiration for my project. I used the Create A Critter Cricut cartridge to diecut the title and the beachy embellishments, and I inked the edges with Distress Inks. I embossed the plants with a bubble embossing folder after sponging with Distress Inks. 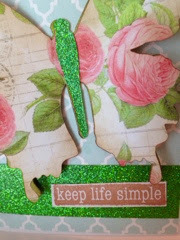 The scalloped edged cuts are made with the Spellbinders Nestabilities dies. For the little starfish I used gold embossing powder for shimmer. 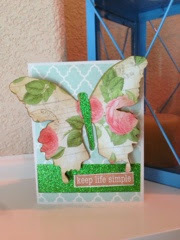 I used Stampendous Shabby White embossing powder to 'sand' the diecuts. For the beach ball and octopus faces I used Enamel Accents in white and black to highlight the eyes. I never get tired of the Create A Critter cartridge! How can you not smile when you see a beach ball with a smiley face, lol?! 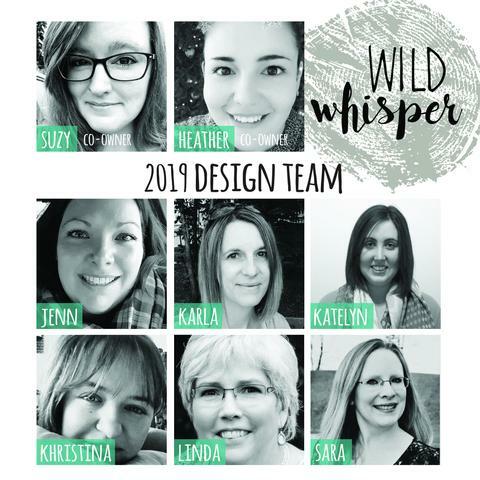 Be sure to check out all the wonderful projects by the Die Cuttin' Divas Design Team and link up your own Beach Inspired project as well! 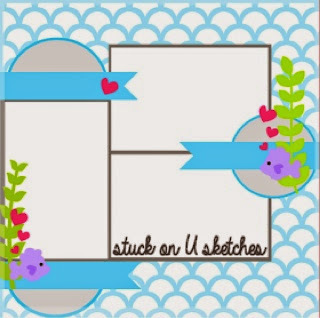 I just love the sketches at Scrapbooksteals.com! I turned the sketch on it's side to create my page. I die cut a scalloped edged cut with a Spellbinder's Nestabilities die from black cardstock and a beachy paper and added pink letter stickers for my title. The shell is diecut from the Create A Critter Cricut cartridge, sponged with Distress Ink, and sprinkled with Stampendous Shabby White embossing powder. 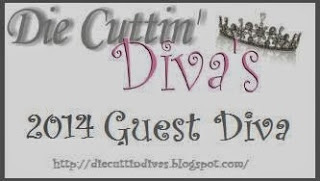 Make sure you check back tomorrow for a special post as a Guest Designer for Die Cuttin' Divas! When I saw the 12 tags of 2014 Tim Holtz tag for July I had to make one! This was so cool - check out the link for step by step directions to complete this tag. I used the Create A Critter and Everyday Paper Dolls Cricut cartridges to cut my shells, seahorse and water plants. I embossed clear acetate with a bubble embossing folder to go over top my distressed tag - love that process!! I used some Stampendous Shabby White embossing powder, which has large and small white embossing powder pieces as well as flecks of gold - so pretty! I used Tim's recipe to create the sand on the bottom - I didn't have exactly the same ingredients, but it still worked using UTEE, Glossy Accents and embossing powders. It looks so shimmery in the light! I followed Tim's instructions to cover the seahorse, which I cut from watercolour paper. I love how the Distress Stain seeps into the cracks of the Clear Rock Candy Crackle. I added a bit of Perfect Pearls mist over the plants to add a little glimmer. This tag looks perfect on my seaside summer mantle! Well I had to get in a card for Mojo Monday this week! I was inspired by the Capture Life scrapbooking paper pack I had been using to scrapbook and thought it would make the perfect card. 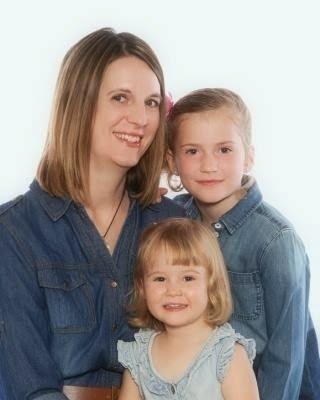 I really like the look of the bokeh paper in the background - I think I may need to get more of this! The little square on top was part of a preprinted paper in the pack, and I used the Tim Holtz debossing folder for the hello sentiment. I started from scratch with acetate and a manilla tag. I used alcohol inks, including the silver metallic one, on the acetate (I didn't end up using the rectangle), and I layered Distress Inks on the tag and then sponged over top with a Crafter's Workshop viewmaster stencil. The diecut is a Tim Holtz viewmaster cut - love it!! I cut the right side of the tag off and embossed the cut-off portion with a ruler embossing folder. I never get tired of the way Distress Ink reacts to droplets of water on top! The half circle of alcohol inked acetate was placed behind the viewmaster diecut. I love the way it looks like a scene in the little windows! Hope everyone enjoyed their weekend! 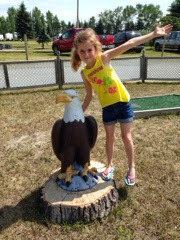 We had a very sunny, warm one here and enjoyed going for a walk along the river, the amusement park and the Farmer's Market as well as going to an 'old fashioned' ice cream parlour (yay for the kids) and a beautiful quilt store (yay for me). Ok, I enjoyed the ice cream too, lol.